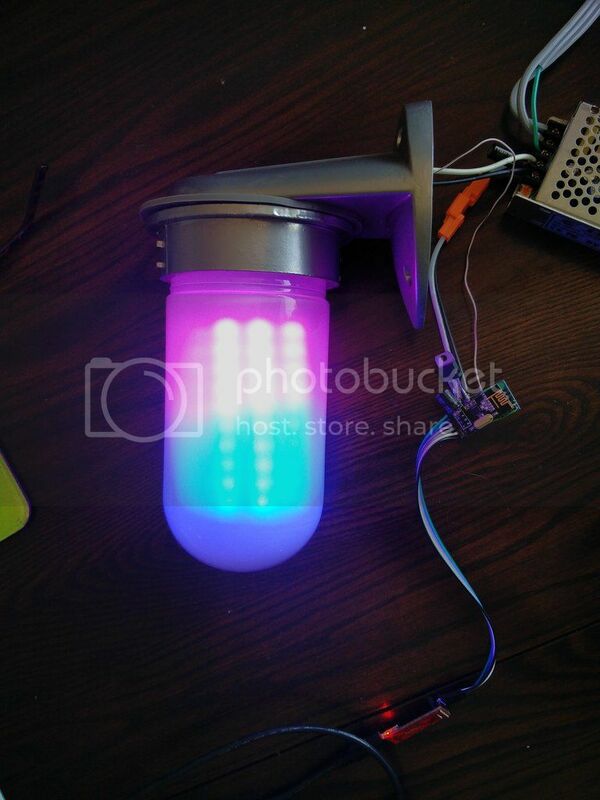 So Im building a porch light using some ws2812b's. I am connecting it to openhab so I can do all kinds of fun things based on the time of year, football games and such. I would like to see if anyone can see in my code, sense I am a beginner, ways to clean it up as what I have already takes up 86% and I would like it to do a few more things. I would really like any feedback, including other things to do with it. //     Position of the FIRST LED in the matrix; pick two, e.g. //     NEO_MATRIX_TOP + NEO_MATRIX_LEFT for the top-left corner. //     rows or in vertical columns, respectively; pick one or the other. //     in the same order, or alternate lines reverse direction; pick one. //   See example below for these values in action. // This 8x8 array represents the LED matrix pixels. a first thing to do when you want to clean up your code is to see everything that is repetitive and remove it. If it's repetitive, it must but changed either with a function (and you pass the changing values as parameters) or with an array. I cannot build your script because I'm missing the RGB.h file, can you give a link to all libraries you use in your script, or post the code of the other files in your arduino project ? This is a neat idea, I'd be interested to know how you plan on having openhab control this. There are a couple of places you could replace the multiple if statements with case instead.